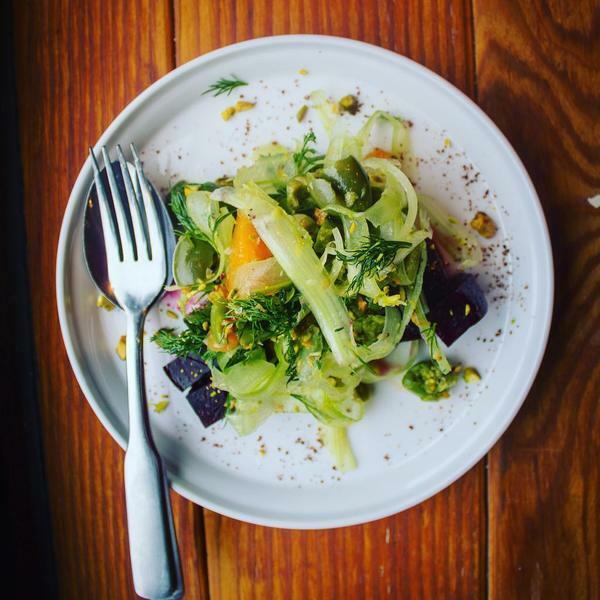 "Beet and celery salad with winter citrus, castlevetrano olives and pistachios. One of the seasonally rotating salads at Shalom Y’all Restaurant. 📷@trentfinlay . . . . . #shalomyall #telavivlivinginportland #pitapit #mediterraneanexplorationcompany"
The root vegetable in all its sweet red glory.